Central Asia, a stronghold for dictators, poverty and corruption, doesn’t at first glance seem to offer fertile ground for high investment returns. But this is precisely what some of the region’s more intrepid investors hope to find and profit from. Kathryn Wells spends a week on the road with two hedge fund managers, on the lookout for opportunities on this new frontier. 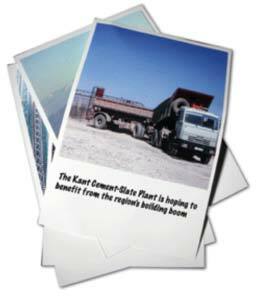 THE ROUTE TO the Kant Cement-Slate Plant from Bishkek, the capital of Kyrgyzstan, is a bumpy 20 kilometres. And our car, which carries foreign number plates, is likely to attract unwelcome attention from the notorious traffic police, known by their Russian acronym GAI, stationed along the route. After some discussion about what’s best to do our host has agreed to send his SUV, bearing official government plates, to accompany us on our journey. We weave our way through the traffic at will, paying little attention to oncoming vehicles. Those police who do contemplate stopping us have second thoughts when they see the car heading our mini-convoy. They melt away into the background. Sometimes, it seems, the system has its advantages. We pull up at the plant, its spluttering chimneys sharply highlighted against the blue of the sky and the white of the snow-capped mountain range behind it. The snow on the mountain peaks never melts, not even in the burning 40ºC heat of summer. The thought crosses my mind: what exactly are we doing here? It’s the final day of a week-long trip around central Asia, accompanying two hedge fund managers as they tour the region on the lookout for new investment opportunities. And cement might prove to be a good investment, as demand for building materials across the region looks set to rocket. Kant Cement is one of five cement companies spread across Russia, Kyrgyzstan, Kazakhstan and Uzbekistan that is ultimately to be packaged into a holding company and listed, in all likelihood on a London exchange. Demand for cement is huge, particularly in Kazakhstan, where the government is engaged in the construction of its new capital, Astana, from scratch. Afghanistan is also expected to become a big importer, along, of course, with China. Kyrgyzstan is a poor, mountainous and largely commodity-free state nestled between China, Kazakhstan, Uzbekistan and Tajikistan, and this factory could well prove to be one of its most profitable enterprises. The plant’s general director, Adal Issabekov, was transferred here from one of the Russian cement companies in the group earlier this year, with a mission to get the factory working to its full capacity before a listing plan is taken any further. Kant was one of the largest cement producers in the USSR and, despite ageing equipment installed in 1962, it is in reasonably good condition, Issabekov says. Our western attitudes make us baulk at this use of something so injurious to health. Yet it is clear that for the local population, who face temperatures of minus 25ºC and below every winter, such concerns are secondary to having a warm roof over their heads. We express the hope, at least, that this will prove to be a market with a finite lifespan. “As the population gets richer, demand will certainly drop,” Issabekov agrees. At the moment, Kant is Kyrgyzstan’s only cement producer, and the country’s anti-monopoly commission that regulates it ensures that most of its production is destined for domestic consumers at below-market prices. However, the government is building a new cement plant, and once Kant is no longer a monopoly it can take full advantage of higher market prices abroad in such places as Kazakhstan. We are invited to take a tour of the plant and jump in a minibus, accompanied by the chief engineer. On our way round, we cannot escape a visit to the slate production line, including a warehouse where thousands of bags of a white-looking substance – asbestos – are piled high up to the roof. The chief engineer pooh-poohs our questions about its safety, saying that he has worked in the plant since the 1960s with no ill effects. But as he finishes saying this he breaks into a spasm of coughing; it does nothing for his argument. The Diamond Age Russia Fund is one of the few hedge funds operating on this new frontier. Just 14 months old, and still growing, it recently became the first international institutional investor to buy into the corporate bond market in Uzbekistan. Today, it also holds nine Uzbek equities, with a total Uzbek allocation of 6% of the fund spread between different bonds and equities, meaning that no position is worth more than 0.5% of the total fund. It also boasts investments in Azerbaijan, Kazakhstan, Turkmenistan, Ukraine, Georgia and the Baltic States as well as its core market of Russia. Its strategy is to invest in the stocks and bonds of any company that has most of its assets, revenue growth or net income growth in one of the countries of the former Soviet Union, regardless of where they are listed. It also invests in derivatives in currencies, interest rates and commodities. The fund’s key investment professionals, Slava Rabinovich, a former head of leading private Russian bank MDM’s asset management arm, and previously an assistant portfolio manager and head trader at Hermitage Capital, the largest public equity investor in Russia; and John Winsell Davies, previously a director of Alfa Capital and a managing director of Franklin Templeton Investments, are constantly on the lookout for new opportunities. They believe that central Asia might offer these. It is a region where first-mover advantage is everything. By the time the hedge fund community at large has cottoned on to the yields that a market can offer, the type of returns that allowed a pioneer to produce a more than 82% return net of fees for investors during its first 14 months of operation have already begun to be eroded. Emerging markets have enjoyed a spectacular run in the past few years, buoyed up by the global search for yield and the absence of crises in any of the major economies such as Brazil, Russia and Turkey. Yet this just serves to highlight the gulf between these economies and some parts of central Asia. Diamond’s managers have agreed to let me spend a week on the road with them as they travel around the region assessing some of the holdings in their current portfolio as well as new investment opportunities. The trip begins in Tashkent, the capital of Uzbekistan. Tashkent, like all the major cities in the region, suffers from a legacy of crumbling Soviet-era housing blocks that disfigure the road from the airport into town. Half the cars on the road date from the same era, ancient Ladas or Skodas that look as if they are held together with pieces of string. In Uzbekistan, the other half – unlike in Moscow or Kiev, where big SUVs with black-tinted windows dominate – are made up almost entirely of Daewoos, the product of one of the country’s few large-scale joint ventures. You immediately feel the presence of security officials – hanging about on street corners or lurking by the business hotels. To western eyes, these are unfamiliar places. The situation is not, though, like it was in the late 1990s, when foreigners travelling here were advised to leave any literature critical of the regime on their planes. Even first thing in the morning of a Sunday in early March, the sun makes a welcome appearance. The land looks flat and fertile, although this belies the massive water problems that have led to a severe drying up of the Aral Sea; it is now split into two far smaller areas of water that are getting still smaller. Uzbekistan has long proved one of the thornier countries in the region for supranational institutions such as the European Bank for Reconstruction and Development. Its capital did host the EBRD’s annual meetings in May 2003, although the institution selects the venues for its annual meetings as much as four years in advance. Back in 1999, Uzbekistan’s economic promise loomed larger than it has since delivered on. The government has proved obstinately opposed to the reforms and improved human rights that the west has called for, leading the EBRD to revise its country strategy for Uzbekistan just weeks before its annual meetings were held there. This raises the question of whether democracy, per se, will really ever be suitable for central Asia. Uzbekistan’s president, Islam Karimov, is just one of a number of former Soviet leaders in the Caucasus and central Asia who have maintained their hold on their countries more than a decade after the Soviet collapse. And when states such as the US seem more intent on keeping geopolitically important countries like Uzbekistan on side than on wholeheartedly promoting democracy, it seems it is unlikely to become a priority in the medium term. Human rights abuses and the flourishing of democracy, though, are not at the top of an investor’s list of concerns. Stability and the ability to repatriate profits are. Meetings in Tashkent have been arranged by Ansher Capital, one of the few investment banks to operate in the region. Ansher’s chief executive officer, Alisher Djumanov, who has more than 10 years’ investment experience, with Credit Suisse First Boston, Renaissance Capital and Ernst & Young, gives us an overview of the country. Uzbekistan, he says, has vast potential. It is the most populous country in the region, with 26 million people, and is situated in the heart of central Asia. It recorded GDP of $12.8 billion in 2005, $492 per capita. Like many of his contemporaries throughout the former Soviet states of the CIS, Djumanov has returned to his native country after years working in the west, more convinced than ever of the fundamental potential that it holds. Our first company meeting is with Alskom Insurance, Uzbekistan’s sixth-largest insurance company – there are 26 in total – and one of the country’s biggest private insurers. The firm has completed four share issues, offering a return on equity in the region of 40%. The money has gone towards increasing its capitalization, in line with new government requirements. Like much else in Uzbekistan, the insurance market is in its infancy. The whole region is acutely underinsured – in Russia, for example, the average insurance spend is about $120 a year. Even this, though, compares favourably with the $1 a year or less per person spent in Uzbekistan. It’s difficult to question the growth possibilities; what is less clear is the timescale needed to realize them. Luckily for Alskom, president Karimov has said that the market will grow five-fold in the next five years, although it is not clear whether or not this will fall by the wayside, as have other similar presidential decrees. We adjourn for lunch to a Chinese/African restaurant described in the Lonely Planet travel guide – Michelin guides having not yet reached this far – as a “restaurant with an identity crisis”. The owner, apparently, is delighted with this review. Over lunch we talk about the region more generally. It seems that there is a natural order to things – just as the British make jokes about the Irish, or the French about the Belgians, so Uzbeks make jokes about the neighbouring Turkmen. “We sent a few people there to do some research,” someone jokes. “Unfortunately they never came back.” Given what the limited information coming from Turkmenistan suggests these days, it looks as if there’s many a true word spoken in jest. After a whistle-stop tour of the city after lunch – a particularly ferocious series of earthquakes in 1966 ensured that few historical buildings remain intact – we move on to a meeting with the head of the American Chamber of Commerce in Tashkent, Donald Nicholson. Nicholson also runs the Central Asia Small Enterprise Fund, one of the few known private equity investors into the country. Nicholson, a CIS veteran, describes himself as “cautiously optimistic, couched on the need for certain things” when pressed on his outlook for the country. The list of these “certain things”, though, is long, spanning the “acute” need for reform of the banking sector, a change in tax legislation and so on. Cotton, textiles, food processing and mining are sectors, he tells us, that should expect investment. The country has “tremendous mining potential”. He laments the reasons that have kept big mining groups, such as Rio Tinto or Anglo American, out of the country so far. He also explains that while the country has a population of 26 million, foreign companies operating there, such as British American Tobacco, believe the consumer base for their products is much smaller, perhaps as little as 200,000. He also tells us that of the 26 million, as many as 3.5 million are estimated to work abroad. 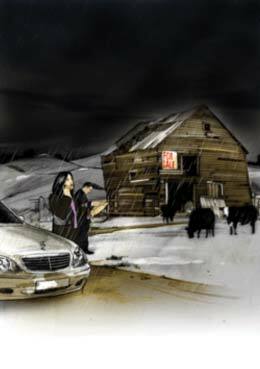 It is this Uzbek diaspora, spread throughout the west and the Middle East, which regularly repatriates the money that to a large extent supports the economy and forestalls its total collapse. Reasons for leaving the country are obvious – Nicholson says that an English-speaking graduate can expect to earn about $120 a month as a receptionist in a four-star hotel in Tashkent but could make more like $400 a month in a comparable establishment in Dubai. Some of the problems that Nicholson points to are endemic to the region. Reform of the banking system is top of his agenda, so that banks “are not instruments of the tax system. They should be made to work like in other countries” – a complaint familiar to anyone who has done business in Russia in the past 10 years, albeit one that very gradually seems to be being dealt with there at least. Bureaucracy is another bugbear that the entire region, central Asia especially, must face up to. To be successful in Uzbekistan today “takes a very special type of investor,” Nicholson tells us. “You can make good money, but you have to understand the risks.” In 2005, Uzbekistan’s largest private commercial bank, Business Bank, lost its operating licence and was put into liquidation on what Nicholson calls “completely falsified grounds”. He says: “We were on the verge of investing, along with the EBRD. We had both done due diligence. No official reason was ever given.” The liquidators brought in to oversee the process turned out to be the bank’s former managers, he says, further muddying the process. We jump back into our Mercedes-Benz and make our way to the next meeting – with the Uzagromashservice Association. The floor of the entrance hall is being relaid as part of what appear to be extensive renovations, so we have to hop between pieces of cardboard laid down to protect us from the dust. Members of the association, we are told, provide machinery services to the agriculture sector, and employ 32,000 people. The association has funded its growth through commercial loans from local banks but is now looking to sell a stake to investors. Its main objective is to attract foreign investment, and the new technology that this is likely to bring with it. This, the association’s representatives say, is vital because Uzbekistan is an agrarian country. So far, most interest has come from Russian investors, although companies from Germany, Norway and the US are also said to looking at the opportunities. One example of a member company for sale is an engine repair firm located in Tashkent in which the government is offering a 23% stake. A Russian joint venture already owns a controlling stake in the company. Chunks of shares in some of the companies are being traded on the secondary market, and are of interest to an adventurous fund such as Diamond. According to the association representatives, in cases of strategic sales on what they call the “primary market”, the price is calculated and fixed by the state property company. On the “secondary market”, however, the share price can be negotiated. Our final meeting of the day is with a local banker, who requests that his name not be disclosed. The average deposit per capita is around $40, he tells us. “In Uzbekistan, people need more time to trust banks,” he says. But one integral problem is that these banks have issued a large number of loans under state guarantee. The first thing that any would-be buyer must do is look at the banks’ credit portfolios, and with many of these guarantees extending as far as 2015, it might not prove particularly attractive. Uzbekistan has great potential for tourism, if it can ever fully harness it. On Tuesday we take a car and drive to Samarkand, the famed ancient city on the Silk Road to China. The three-and-a-half hour drive (there is apparently a shorter route that involves crossing briefly into Kazakhstan, but political disputes between the two countries mean that the border will not be open to us) is not particularly scenic until we begin the approach to Samarkand, when snow-capped mountains suddenly become visible on our left. We share the road with a mixture of cars and occasional herds of skinny-looking cows. Villages of any size are scarce, and petrol stations virtually non-existent. Samarkand, though, more than justifies the trek. With exquisitely coloured mosques and mausoleums spread out around the modern parts of the city, we barely scratch at the surface in the few hours we have to explore. Our guide, a typical Soviet-era fount of knowledge, barely stops talking during the entire visit, offering impressive but ultimately forgettable facts about the dimensions of every room, and the quantities of gold used in their construction. We learn about the 14th-century ruler Amir Timur, known in the west as Tamerlane, who the Uzbeks seem to regard as a benevolent, fatherly figure despite his somewhat harsher record for savagely slaughtering subjects and conquered peoples. Couple the attractions of Samarkand with those of other historic cities such as Bukhara and Khiva, and the chance to explore the Fergana Valley, the most fertile and most densely populated region in the whole of central Asia, and tourism should be booming. Investment is clearly needed – both in infrastructure and marketing. The type of three-star hotels that tourist groups need are available, although some are still on the basic side. Next day, the flight to Almaty, the former capital of Kazakhstan that remains the country’s business centre, is scheduled to leave mid-morning. But an air stewardess announces that because of a “technical break” at Almaty airport that will last for one hour we must sit on the plane and wait. Once on the ground in Almaty, the difference between it and Tashkent is striking. Roads are smoother, cars bigger, and people’s clothes more expensive-looking. Shiny new buildings are shooting up on all sides, clear evidence of the benefits of petrodollars to an economy. It’s to be hoped that this building frenzy will soon extend to hotels – one area in which Tashkent does lead its central Asian counterpart is in business-standard accommodation. Ironically, the EBRD’s greatest legacy to Uzbekistan appears to be the plethora of four-star and five-star hotels that sprung up in response to the bank’s 2003 annual meetings there. In Almaty, though, we check into a Soviet-era hotel replete with the heavy furnishings and solemn interiors of that period. In Kazakhstan’s real economy, oil is the only game in town, and is likely to remain so for many years. The government talks a good game about diversification but with oil prices where they are today, the country is enjoying an embarrassment of riches. In a sign that Kazakhstan is starting to gain visibility on international investors’ radar screens, a new Kazakh-based, but ultimately pan-central Asian, investment bank has just been set up. Visor Capital’s co-founder, Michael Sauer, a veteran of the Brunswick brokerage in Moscow, meets us in his newly built and still being furnished offices and takes us out onto the 10th-floor terrace to see close-up the extent to which new buildings are shooting up. With the sun glinting off the buildings’ mirrored walls, and a clear blue sky creating a sharp contrast to the snow-capped mountains that lie just a 20-minute drive away, it is easy to see what might tempt entrepreneurial bankers such as Sauer to relocate here. The downside, of course, is that this is still central Asia. Violence within the business community of this relatively stable “stan” has been escalating, with several notable bank officials being murdered in recent months. We go to meet Almas Chukin, the former ambassador of Kyrgyzstan to the US, who today heads the Compass Asset Management company in Almaty. He is well placed to discuss with us the relative merits of the stans. Davies from Diamond kicks off by saying that the Uzbek market is the least correlated to the Russian index (RTS) of any market that his fund looks at. Lack of correlation is a priority of hedge fund managers regardless of their investment environment, it seems. Short-term Uzbek bonds offer a yield of more than 20%, and the chances of default in the next 12 months are low. Diamond follows a basket approach, so a diverse mixture of countries and products is crucial to its strategy. It has nine equity positions in Uzbekistan, which account for around 20% of the fund. These include sugar producers, light machinery companies and also state-owned Uztelecom, which Diamond uses as a proxy for the Uzbek market, rather than regarding it as a well-run company per se. Last year’s unrest in the Fergana valley, which the Uzbek government categorized as “Islamic fundamentalism” and dealt with particularly heavy-handedly, might prove to be a blessing in disguise for funds like Diamond, as it will keep out all but the most adventurous of rivals. One way to invest in the “trickier” countries in central Asia, Diamond believes, is through companies domiciled outside their main area of operations. For example, the fund invests in several operations in Turkmenistan, but through mining companies listed in London, New York or Dublin that have a large proportion of assets there. The most fascinating aspect of the trip is the insights it gives to the different stages that these three central Asian republics have reached. For western-based investors, it is easy to lump them together as a homogenous block of far-off stans. But as Compass’s Chukin explains, their paths since independence 15 years ago have been far from identical. His native Kyrgyzstan was the darling of investors in the mid-1990s and hailed as an “oasis of democracy”. But the ultimately poor and commodity-free country, despite having had one of the most economically liberal regimes in the CIS – it was the first to join the World Trade Organization and has the most liberal currency regime – ultimately fell out of love with its experiment in democracy, and has failed to translate this into performance. Today it is Kazakhstan that claims that prize. Nursultan Nazarbayev, Kazakhstan’s president since independence, has proven to be one of the region’s canniest when it comes to economic reforms. Following independence, the government engaged in the construction of new institutions, and subsequently growing its business sector, up until the double-whammy of the Asian and Russian financial crises of the late 1990s. Since 2000 it has grown steadily, with 9% increases in GDP and real incomes up 30% in the past six years. It’s arguable, of course, that this is easy for a country with the natural resources that Kazakhstan enjoys, which have helped to cushion the shock for its people of transition from a command to a consumer economy. Nevertheless, Kazakhstan has implemented policy changes in areas such as pension reform that leave it sitting comfortably ahead of many in western Europe. Pension reform is another factor in the country’s favour from the point of view of western investors. The asset management business there is still young – the law on investment funds is a mere 18 months old – but Kazakhs have more than $6 billion in deposits, Chukin says. This domestic bid will support the debt and equity markets and should help avoid some of the problems connected with speculation that countries such as Hungary have experienced in recent years. First among Kazakhstan’s problems, everyone in the room agrees – and this is something that affects the region as a whole – has got to be corruption. There is no point being an honest importer of furniture, say, and being hit by heavy customs costs, when you are being undercut by a corrupt competitor. The bankers and investors refer to a famous dispute in Russia over the development of a new Ikea branch just outside Moscow. Disputes between various local officials meant that it took a meeting between the head of Ikea in Russia and president Vladimir Putin himself to get the huge new store open on schedule. Visor’s Sanzhar Kozybayev, an executive director at the firm, then tells us about a company Visor is working with – a pharmaceuticals manufacturer called Chimpharm. Listed on the Kazakhstan stock exchange, the company is the biggest producer of medicines in central Asia. It makes about 50% of Kazakhstan’s drugs, in a market expected to grow from $409 million in 2005 to $572 million by 2008, and is focused on increasing the proportion of its exports. Visor believes that Chimpharm is an interesting investment that can harness the consumer boom the country is experiencing, and is working with it to look into the possibility of a further listing, strategic sale or recapitalization. Diamond’s Davies says that what is interesting is its potential to increase exports to the Chinese market. These are the types of companies offering diversification away from the oil and gas sector, that funds are on the lookout for. We wrap up for the day and head to a restaurant. As in Moscow, sushi is all the rage here, and we are pleasantly surprised by the quality and freshness that this land-locked country can offer. Almaty’s rich and beautiful young people are here on display, celebrating the tail end of March 8, International Women’s Day, which is feted throughout the former USSR. On Thursday morning, excited by the thought of our drive across the steppes to Bishkek in Kyrgyzstan that afternoon, we prepare to meet an example of the sort of company Diamond likes to invest in. Max Petroleum is an oil and gas exploration company initially focusing on Kazakhstan that has recently completed a listing on London’s junior market, AIM. Diamond does not invest in Max yet, but its fund managers are eager to hear about the company’s plans. Ole Udsen, Max’s Norwegian country manager for Kazakhstan, talks us through the company’s strategy. Its market capitalization stood at £430 million ($753 million) at the end of January, although this fell to £260 million in early March after what Udsen describes as unhelpful research reports, written, he believes, with little understanding of the company’s situation, and possibly with the aim of artificially depressing its share price. Investing in an oil explorer entails a fair degree of risk – especially the risk that the sites it has acquired for exploration do not eventually yield serious reserves. This, though, argues Udsen, is offset by the sites’ proximity to two massive fields, making it more likely that oil will be struck, as well as the access it has to good infrastructure, and its excellent government relations. This is an area the company and its potential investors are keen to underline. Kazakhstan is still very much a place where who you know is vital to do business. The company is still deciding how it will fund its 2007 operations. It is mulling over either a loan or the sale of a stake in one or more of its projects to a multinational, although this will undoubtedly mean that it loses an element of control. After the best part of two hours, Udsen leaves. Diamond’s managers are definitely interested, and will do more research. We adjourn to a vast new restaurant in the basement of a hotel that promises genuine Kazakh fare. The room is large enough to be a banqueting hall but we are virtually the only people there. Our hosts order a selection of delicacies, including horse meat and a whole pig’s head. Having gorged ourselves, we get ready to set off for the border and Kyrgyzstan. The drive is spectacular, taking in the vast emptiness of the Kazakh steppes. To the right, the fields stretch for ever. To the left, the mountains rise out of the plain like ghosts. Our driver, Sasha, makes good time across the Kazakh leg of the journey and it is only when we reach the border that we hit trouble [see story]. The last day of our trip is also our one full day in Bishkek. We begin with a meeting at the ministry of finance with deputy finance minister Murat Ismailov. Diamond’s fund managers do not yet invest in Kyrgyzstan but are constantly on the lookout for new opportunities, especially ones that they can spot ahead of the rest of the market. They are eager to hear what the ministry is planning, although they view Kyrgyzstan more as a prospect for 2007 and beyond than as a buy for today. Kyrgyzstan’s Tulip Revolution last May, which resulted in the overthrow of president Askar Akayev, brought the tiny republic – its population is 5 million – into the consciousness of many in the west who have never heard of it before. One thing that many countries that have undergone such revolutions have in common though, is that the upheavals, while opening up the possibility of the type of democracy advocated by the EBRD, IMF and other such institutions, can play havoc with the economy. The deputy minister takes us through a number of projects that his ministry is working on, such as the extension of a railway line through his country that will complete a link between Uzbekistan and China. Part of the line, from Bishkek to Issy-Kul, is already in place. Plans are also under way to convert a military airport near Lake Issy-Kul to accommodate civilian aircraft in large numbers, as part of a push to develop the region’s tourist industry. Issy-kul is the world’s second largest alpine lake, and its beauty, combined with that of the spectacular Tian Shan mountain range, and the possibility of home stays in nomadic yurts, mean that there is plenty on offer for the more intrepid tourist. But while this is interesting stuff, and it sounds sensible to mine tourism, there seems to be little immediately on offer for the portfolio investors. We ask instead about the tax code – a new one is being prepared that the deputy minister claims will do a lot to improve the investment climate. It includes a flat rate of 10% corporate and personal tax. The government, he says, understands that without foreign investment, the economy will continue to struggle. But to some extent its hands are tied – it is working on an IMF programme that it must stick to rigidly. The country has nearly $2.5 billion of external debt – huge for a country whose annual GDP is about $2 billion — and so has few options. It is in discussions with the IMF about privatization in the energy sector – although it has few natural resources, hydroelectricity could be developed much further. We leave the ministry with the feeling that the tiny country is at the mercy of an institution not famed for its understanding of the difficulties of implementing fancy Washington-developed theories of capitalism on the ground. The IMF’s prescriptions for the rest of the CIS have had at best mixed results, and we end up hoping rather than truly believing that Kyrgyzstan can be one of its success stories. After the unexpected encounter with asbestos at the Kant Cement-Slate Plant that follows, we form our convoy again and return to the centre of Bishkek. The sun is shining, and the temperature a pleasant 18ºC – a million miles, or so it seems, from the sub-zero climes of Russia. Tiny one-storey individual dwellings line the road, often decorated in a range of bright colours and with roofs of corrugated iron. In the sunshine their simplicity seems far more attractive than the Soviet apartment blocks that pervade most of the region. The official number plates on the lead vehicle do the trick once again, and we reach the centre without incident. We grab some manti – central Asian steamed dumplings stuffed with meat – to eat en route, and drive to the offices of the committee on state property and direct investments, to hear from its deputy chairman, Anatoly Makarov, about the state’s plans for privatization. The committee is housed in a typical Soviet-style building, fraying at the edges and with identical looking dingy offices along every corridor. The committee, representing the state, is the main shareholder in Kyrgyzstan, as privatization is still in its infancy. So what is the real value of privatization in a country like Kyrgyzstan? It is certainly no panacea and, in countries ill prepared for the concept of joint-stock companies and share ownership, it can be an agent of value destruction. Makarov explains that the first stage towards privatization of companies in sectors such as electricity generation and telecoms is to turn them into share companies. The government then plans to sell them to strategic investors. “We are looking at some plans that will use the stock market in 2006/07, but I do not think that this year will see the sort of trading that you are interested in,” Makarov tells Diamond’s fund managers. He says that of the 120 firms that the committee owns shares in, some 40 are “serious” companies and could be interesting to foreign investors. This, he says, includes the tender for a stake in Kyrgyztelecom. He, like Ismailov at the ministry of finance this morning, stresses the country’s liberal tax regime and the fact that investors can repatriate profits without any difficulties. Our meetings here today in Bishkek seem to have confirmed the opinion of the two Diamond managers that Kyrgyzstan is a story for tomorrow, not today. Although there are some signs of commitment to developing the capital markets, there is still some way to go before portfolio investors will see securities capable of being traded. The EBRD, Asian Development Bank and similar institutions might be engaged in projects to develop the stock market but today it seems that strategic investment offers the more immediate possibilities. With just an hour before sunset, we leap into a taxi to try to cram in a sightseeing dash around town. Our transport is an ancient-looking Lada with seats that are barely fixed to the car’s body. Our driver, a weather-beaten old man chewing tobacco, is mystified by our request to be taken to a viewpoint that we have been told about. There is no formal viewpoint, he explains, although not wanting to lose our business he drives us up into the foothills of the nearby mountain range where we can look back on the urban sprawl that is Bishkek. Without the backdrop of the snow-capped mountains to romanticize it, it is easier to see the city for the poverty-stricken outpost in the middle of a vast landmass that it is. Bishkek’s outlying areas blur into a mix of half-finished building sites that don’t look likely to be completed soon, and decades-old apartment blocks. This view seems to sum up the state of play in Kyrgyzstan and also in large parts of central Asia in general. The situation is not completely hopeless but a great deal of investment will be needed if the region is to fulfil its potential.